Music by Robert Rodriguez and Carl Thiel. The town’s most hard boiled citizens cross paths with some of its more reviled inhabitants. The film is a sequel to 2005 groundbreaking film, SIN CITY. 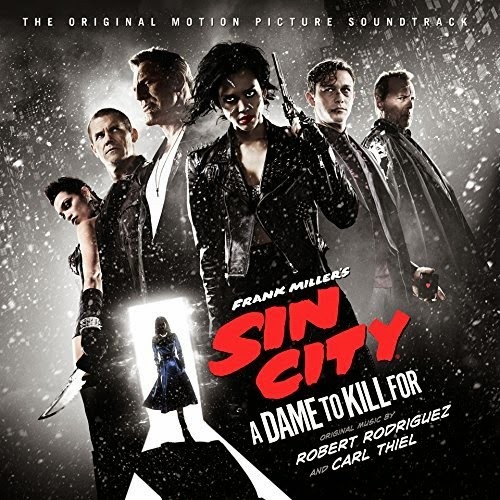 The movie soundtrack of Sin City 2 A Dame To Kill For will be released on August 19, 2014 by Morada Music.